New Media Strategies just debriefed us on Museum of the Obvious, a campaign that showcases obvious inventions. 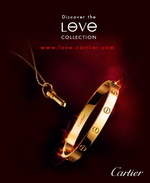 With help from TEQUILA, Cartier built a MySpace page to showcase its latest collection, "Love by Cartier." "How far would you go for love?" This question appears across creative and in artist interviews. For a coveted Love bracelet, expect to go pretty far: $1000 or more. Get this: you have to fill out a form to get any pricing information. Tracks come courtesy of Lou Reed, Grand National and Marion Cotillard, among others. Download 'em at the Cartier Love website. I tried, but didn't like the process. The form is too much work -- Cartier likes everything just so -- and the site controls the download. So I missed the tiny "33%" at the bottom of the screen and closed the browser. Cartier's MySpace goes live in the US, UK, France, Hong Kong, Japan, Italy, Switzerland, Spain and China. Here's to hoping users feel more passionate about 18k-gold love than they do about credit card debt. It Ain't Police Academy, But the Hijinks Could Cost You Your Soul! The three consciously-casual males at left aren't new contenders for The Bachelorette. They're competitors in Priest Academy, a French web-based reality show brought to you by the humble servants of the Besancon diocese. A source in France said the premise behind Priest Academy is to encourage more men to become priests because there's apparently a shortage. Adrants reader Olivier Mermet, who sent us the link, exclaimed, "And do you want to know the worst about it? This is F***in' true stuff!!" Indeed. The first episode, which debuted on June 12, generated 90,000 views. For more social media fun and games with your immortal homeboy Jesus, check out the Pope blog. And hey, it's never too late to score one of those rad WWJD wristbands. 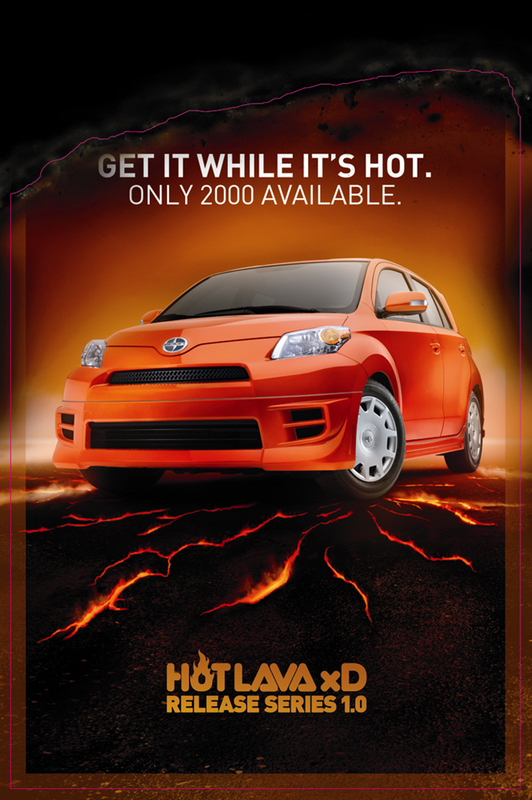 To promote yet another limited edition vehicle, the xD RS, Scion went all Hot Lava. The subsite -- produced by SolutionSet -- features a bubbling volcano with a gray xD RS in the foreground; an explosion of lava makes it that wild red-orange color we love so much. I find the bubbling noises comforting. They remind me of this one time we cooked a rabbit alive, invented some nifty rhymes, and put a curse on Bob Dole. See print variant with vehicle specs. Beyond magazines and the 'net, expect to see "smoking" billboards, and street teams clad in flameproof uniforms, all from the fancy folk at ATTIK. And while you contemplate getting an xD RS before all 2000 run out, see previous efforts for the limited edition xB Series 5 and Scion tC. 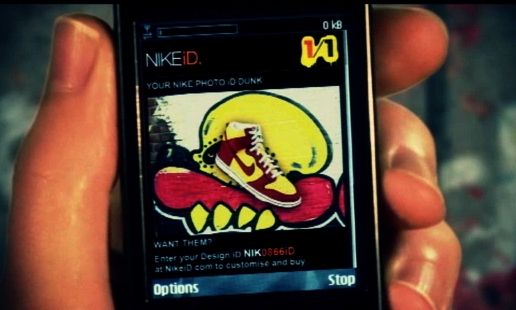 Liverpudlians adopt fragments of Spanish culture in "Turning Spanish," created for Nike by 72andSunny. They won't be reading any Don Quixote, though. 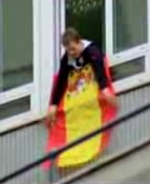 The spot aspires to cash in on the emotional cachet of Fernando Torres. He's the English Premier League's current It Guy. And while I guess it's funny to hear some 'Pud go "Gracias, mate! ", the whole thing felt like a really long "Sorry ... you had to be there"-type story. In this case, I think you have to be from Liverpool. Splashcast just launched HotSpot, which enables advertisers to tag objects in published videos. When users click on the highlighted items, they're exposed to an ad and a link to purchase. Splashcast told us the highlighting process is subtle so video viewers don't get irritated, but from what I can tell it's about as subtle as Facebook's photo-tagging feature. Contact Splashcast directly if this -- and the possible backlash -- is something you want to play around with.